The error the program can’t start because d3dx9_43.dll is missing from your computer can easily resolved by downloading the latest DirectX End-User Runtime from Microsoft. 4. 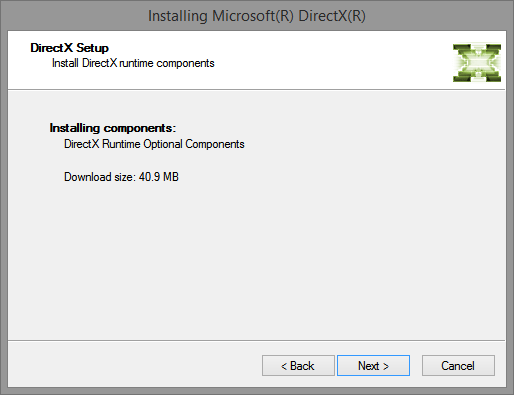 DirectX will now download all required files, click on Next, then wait for this process to complete. 5. After the installation is completed, reboot your device and try to run the game again.